Why do we wait so late to start our Christmas planning? Why does the creative process always seem rushed? Why do we never seem to have a clear plan after the holidays? Christmas can quickly catch churches off guard. We know this is one of the biggest opportunities to reach new people, but many times we place priority on nonessential items. Schedule a Christmas planning meeting. Sometimes the hardest step is just getting started. Don’t wait on optimal circumstances before scheduling a meeting. Get it on the calendar and meet with who is available. 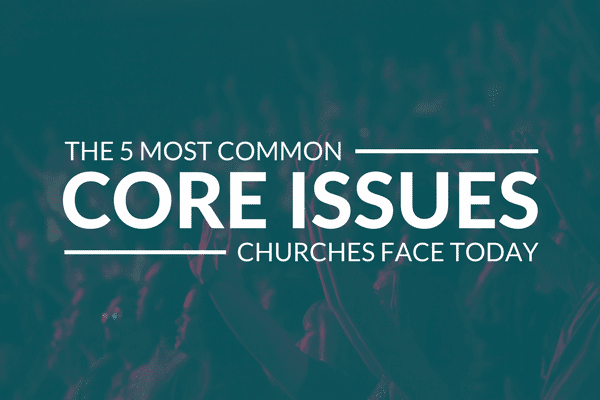 Discuss missed opportunities from last year’s Christmas services. Did people leave last year because they couldn’t find a seat? How was parking? What worked well? What added unnecessary stress to the team? What needs to be eliminated? What can be improved? Asking these questions will give your team time to develop solutions to problems that keep coming up year after year. Determine the key wins that you would like to achieve during your Christmas services. Now is the time to determine what your wins will look like. Packed out services are exciting but they add little value once the new year begins. What does success look like? Increased volunteers, salvation experiences, and retention of new families are a few wins to consider. Figure out how your Christmas services can encourage new people to volunteer. Christmas is an excellent opportunity to get new people involved. People have generosity on their minds and are willing to give ministry a try. How can you maximize this opportunity? What are some creative service elements that will make your Christmas services stand out? Remarkable things are talked about. If your Christmas services have become routine maybe it’s time to focus on creative elements that will get people talking about your church again. What marketing and communication strategy will be most effective to get people to your Christmas services? Now is a great time to begin planning your marketing and communication strategy. You have to get people in the seats before you can impact their lives. How will you get people to come back? Christmas is a pivotal time to help people take next steps. Start planning and talking about how to create an environment that leads people into a relationship with Christ. Great practical steps. There seems to be no urgency in Christmas planning until someone brings it to the attention of the staff. Thank you for these insights and steps.